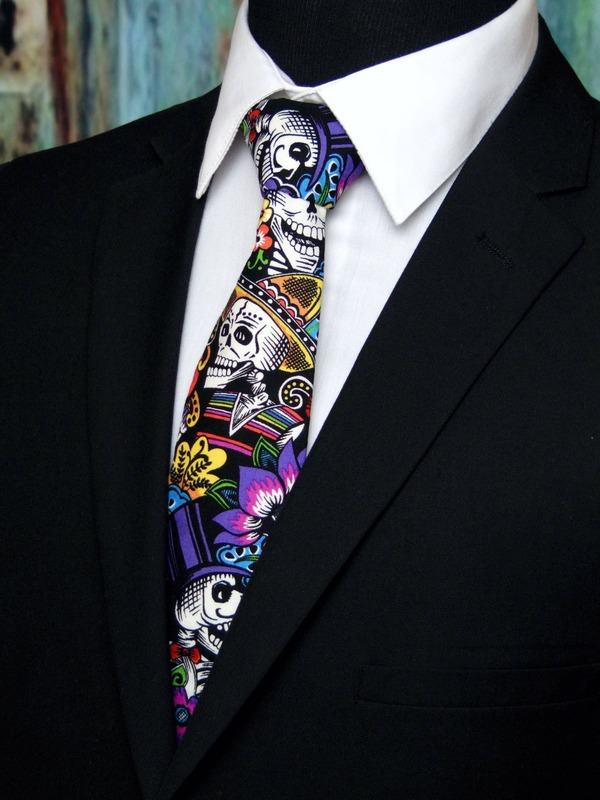 Day of the Dead Tie – Halloween Neck Tie, Great Mens Skull Necktie or Unique Colorful Tie. Also Makes a Nice Gift for Dad. 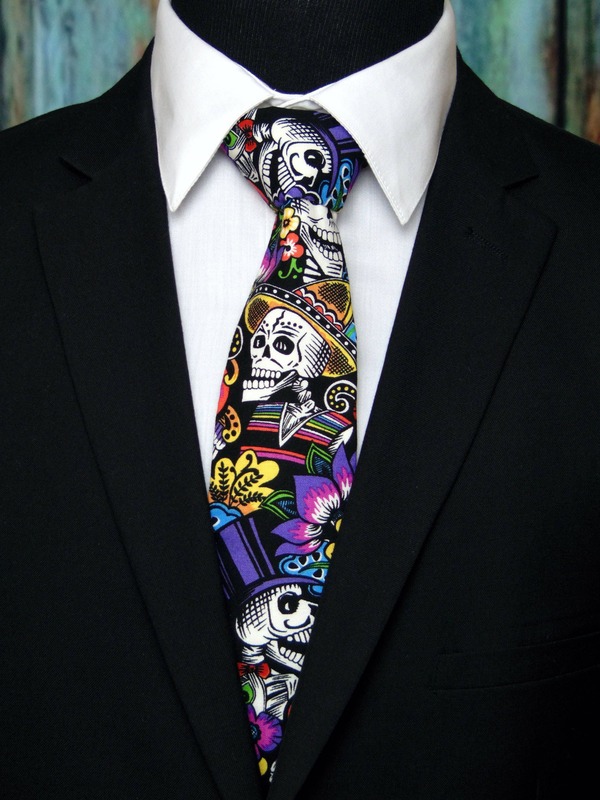 Make your halloween more colorful with this Day of the Dead necktie for men. Expertly hand-made from 100% cotton you can select your length from 57" to 71" (Great for taller Men). 2.5" x 48" Child size available upon request. Width is standard 3.5" If you require a custom length or width, please contact us. Ships within 2 business days. Made in the USA. 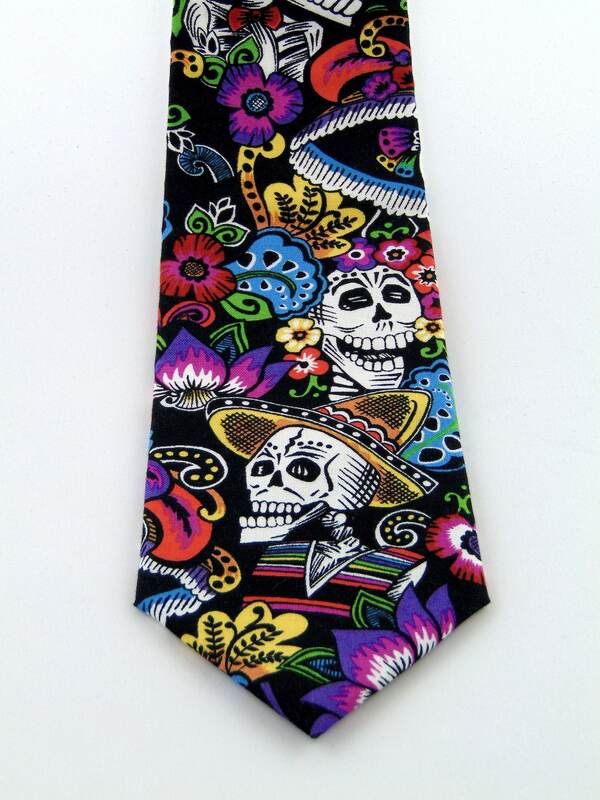 Great tie and excellent service. Lots of compliments each time I’ve worn it. 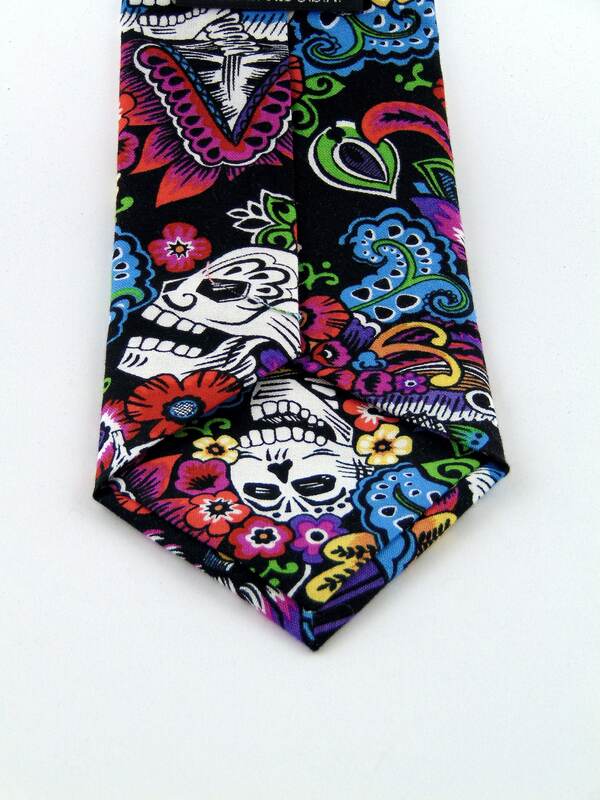 This is my second tie from Ed’s and they’re both great. They’re well made and look very good. I’ll be back for a third before too long I’m sure! 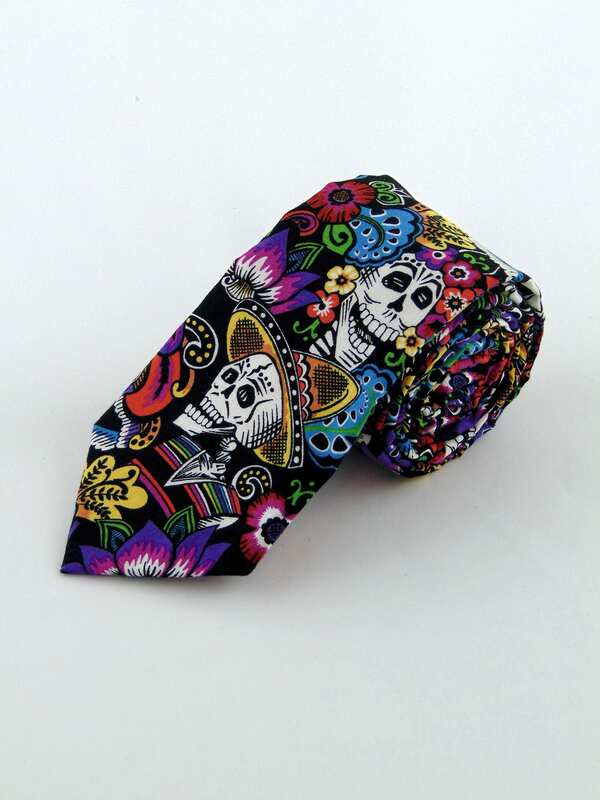 This tie is so cool and it's going to make a great present! Excellent quality, professionally packaged and fast shipping. Highly recommend this shop! Thank you.